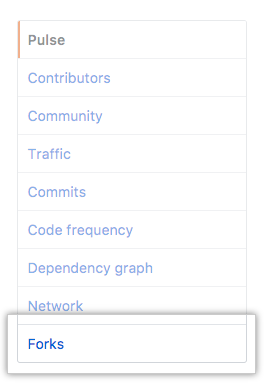 The Members graph displays all the forks of a repository. Forks are listed alphabetically by the username of the person who forked the repository. You can click on the username to be redirected to the user's GitHub Enterprise profile page or click on the fork name to be redirected to the specific fork of the repository. In the left sidebar, click Forks.